Select a game. 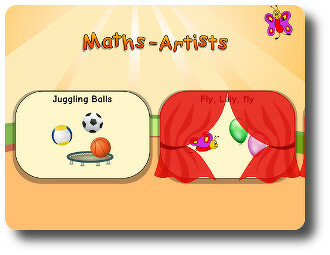 You can only play games 2 and 3 after you´ve got all the butterfly awards. The other curtains will open up as soon as you´ve collected all four-leafed clovers. 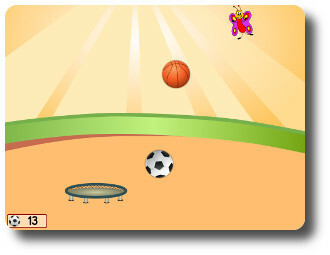 Move the trampoline with your finger and try to keep all the balls up in the air. There´s only one balloon with the correct sum on it. 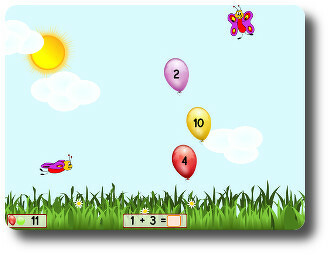 Keep touching the screen carefully and make Lilly fly into the balloon to burst it. 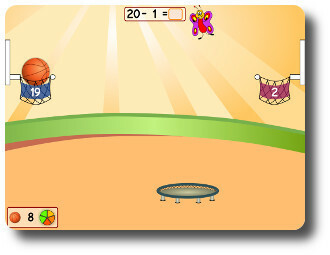 Move the trampoline with your finger and try to throw the ball into the hoop with the correct answer. 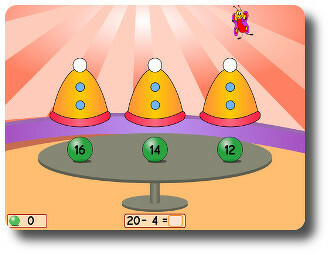 Under one of the three hats there´s a ball with the correct sum on it. Can you find it? Do the sums. Now tap on the button on the bottom right and release the box. You will get one point for every box. 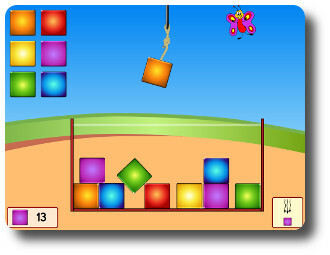 If two boxes with the same colour collide, the first one will burst. If you cross the white line with one of your boxes the game will be over.